← Tom Sings For Matilda. 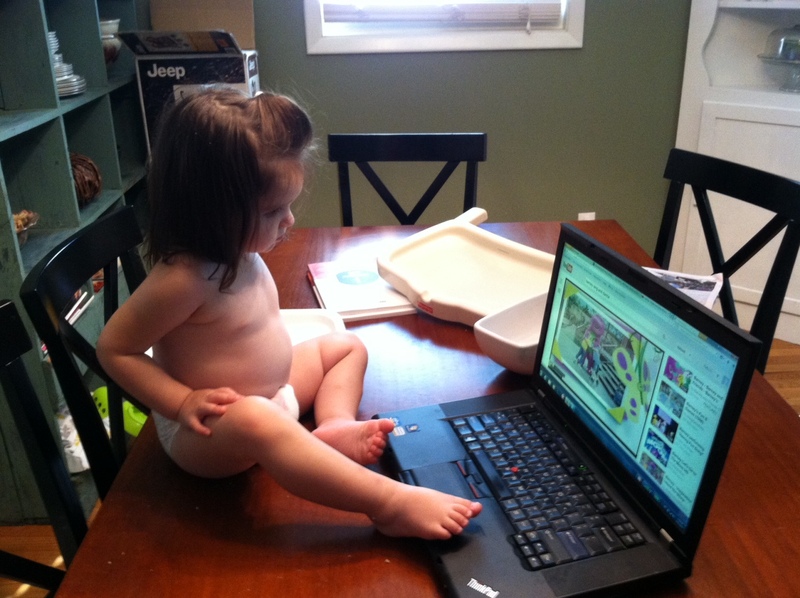 …learned that Alice thinks this is the best way to watch Barney. 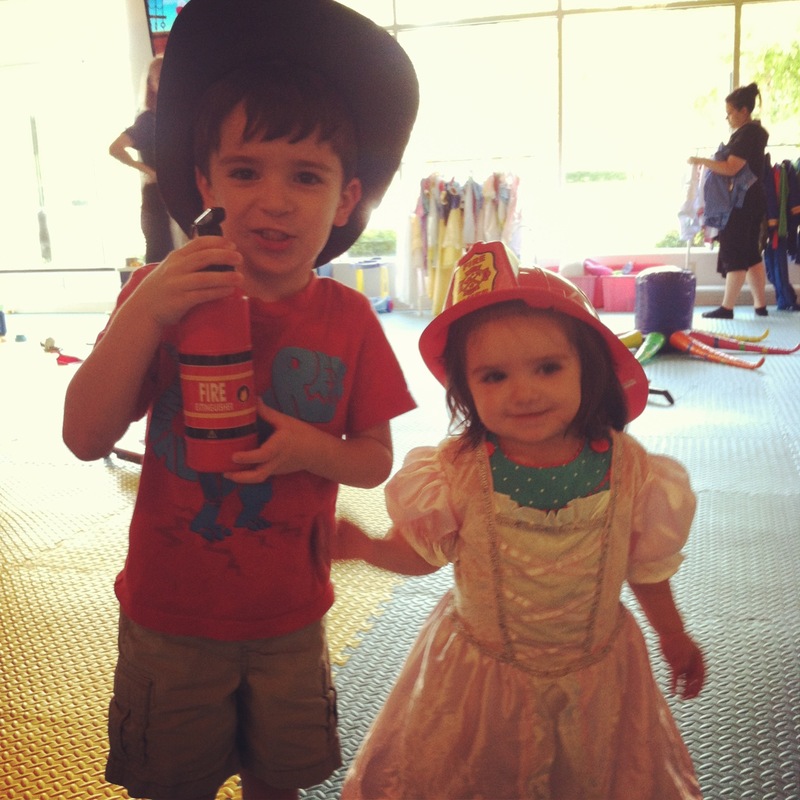 …played with a firefighter and his firefighting princess. 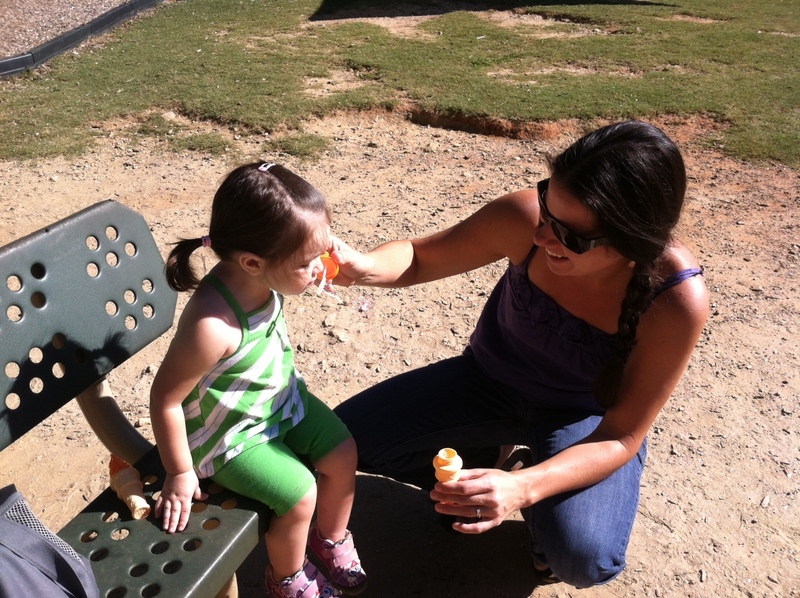 …enjoyed a visit from Aunt Rachel who sweetly helped Alice blow bubbles. …saw Alice climb up the stairs and slide down over and over all by herself. 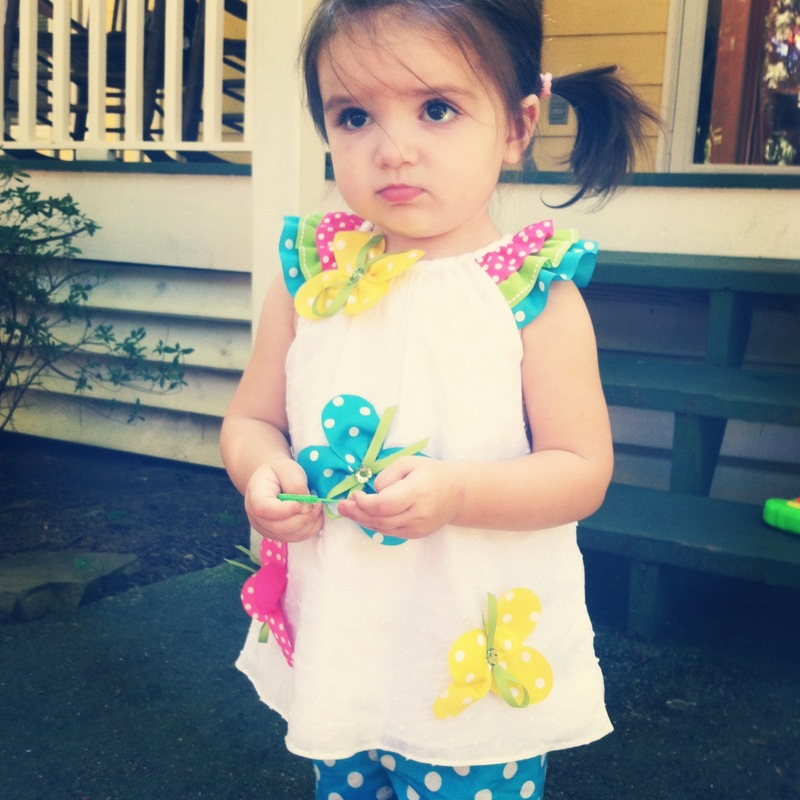 …put Alice in her cute birthday party outfit. 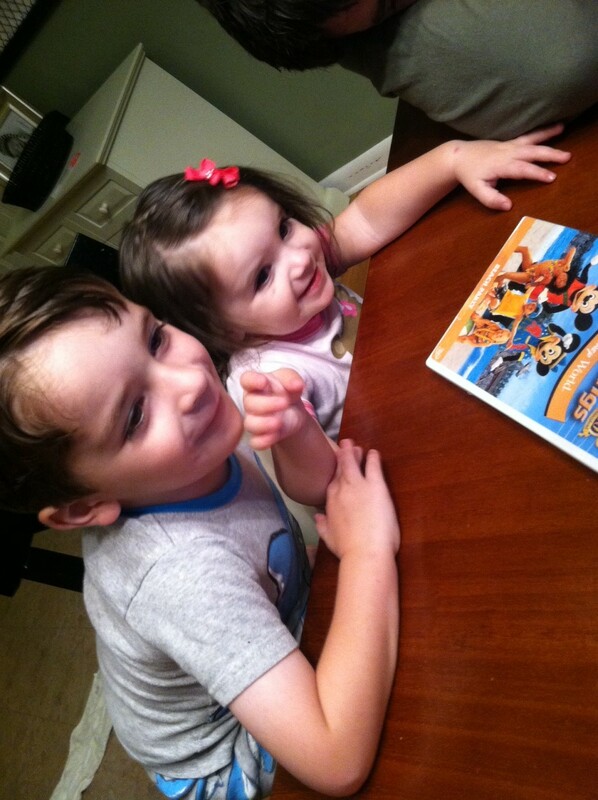 …watched the siblings be siblings. 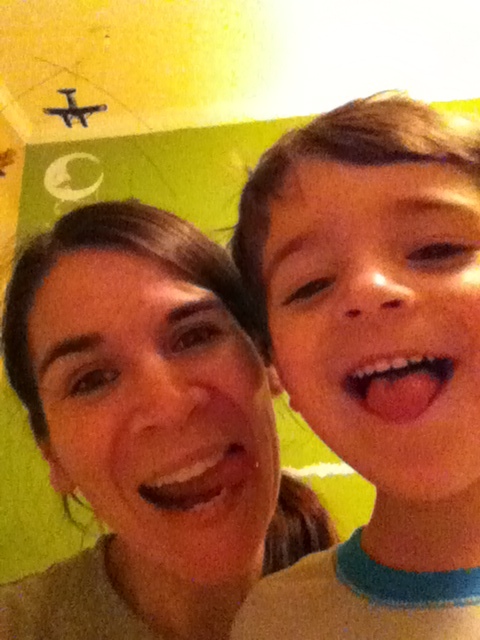 …and made silly faces, just for YOU! 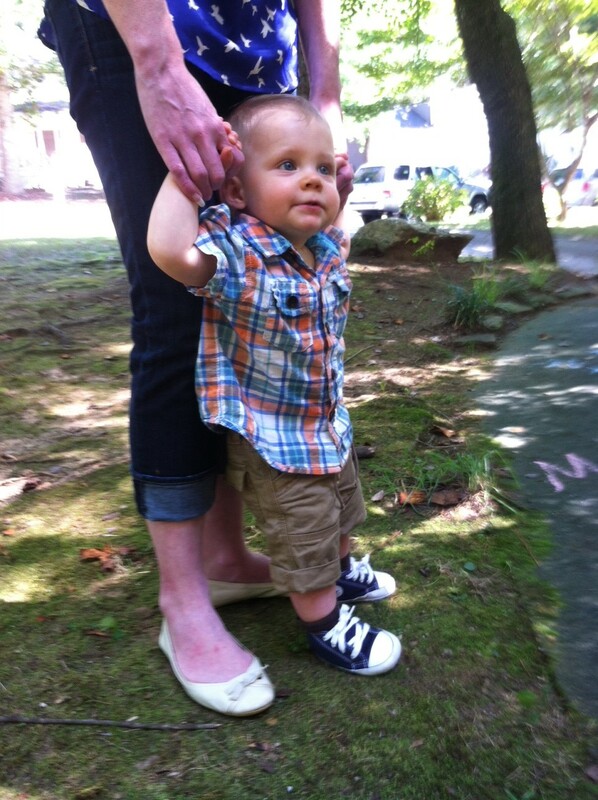 This entry was posted in Alice, Bits, Family, Friends, Motherhood, Tom. Bookmark the permalink. 2 Responses to Bits of Our Weekend. I got this post in my email without pictures, and originally read “watch Alice climb up the stairs and slide down over and over by herself” and thought you meant the stairs to your basement, and thought…oh, well that sounds kinda dangerous, but okay! I’m a dummy. Of course you wouldn’t let her do that. The slide thing is much better. I loved the silly faces and I miss you tons. Work is killing me. Maybe we can do something next week??? 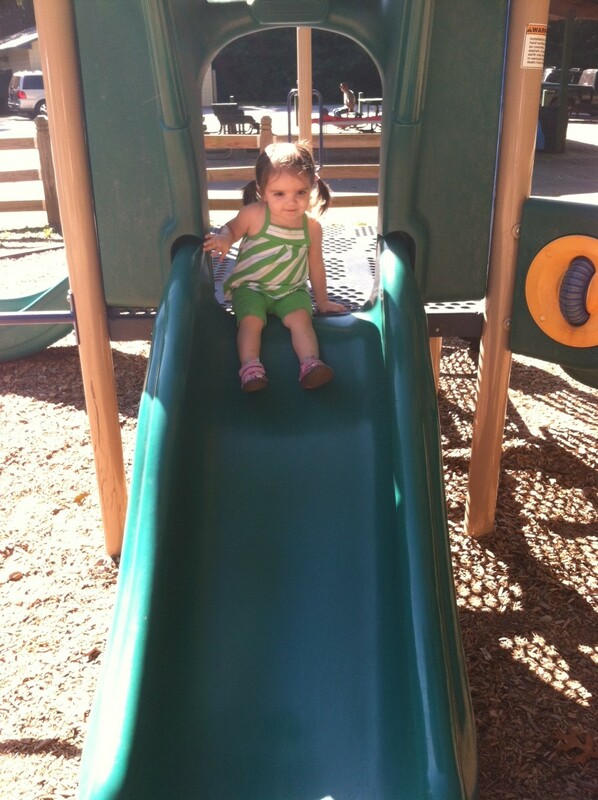 Emory is climbing and sliding all by herself too. It’s exciting and scary as hell too! We go out on the church playground on Wednesday nights and I am just now getting where I don’t feel like I have to be right there with her all the time in case she decides to get too close to the edge and take a nose dive.